14 russian among the 31 positive re-tests of 2008 olympic games. This is proof positive that the Russians are dirtier than anyone else and should be kept out of the olympics. She should lose all her medals, records, and receive a 4 year ban. "According to our source, who did not see the list received from the IOC, but I heard about it, most of the positive samples - 11 from 14 - our athletes. 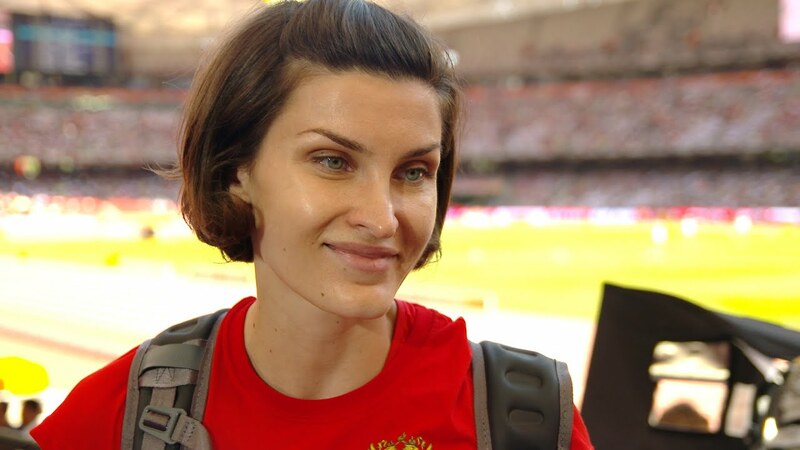 This, in particular, the alleged question of participating women's relay 4x100 meters, won the gold, and high jumper Anna Chicherova, which became the third in Beijing. It is clear that this information is still to be confirmed." Carmelita Jeter's camp has been surprisingly quiet the last few weeks. Of course this is coming out. It's all about getting the Russians. Notice not a peep of any new doping allegations against US, Canada, Kenya, Turkey, Jamaica, Morocco, Spain, etc. etc. The usual suspects. All about the Russians and preventing them performing on a world stage. Interestingly, Chicherova's coach Yevgeny Zagorulko now seems to deny saying she received a notice for a positive test. Not sure at which degree this is valuable information. seriously - my first thought was noooooooo not her! Is this the first woman high jumper ever to get popped? Historically it has been seen as a clean event. Little doubt in my mind that Isinibayeva is as dirty as Bolt, Gatlin, etc..
if you control f search for 'high jump' here you get 23 hits. some men, some women. Also, the names are compatible with the numbers: 11 of 14 are track&field athletes, 3 are from other sports. Who cares. It's kinda well known the US has more dopers in professional sports than any other country. Spanning from baseball, football, and basketball, to boxing, wrestling, and track. How about the Russian who beat Volkova by 9 seconds in the steeplechase in that race AND set the world record - Gulnara Galinka? The unknown 3rd placer is a good start though. FYI - Volkova is the 3rd fastest steeplechaser of all time. This is hot? I guess beauty is in the eye of the beholder, but not for me. Not proof at all. Americans can afford more expensive drugs, can do their own tests to make sure they're under the 'mark', and can afford expensive lawyers to keep the testers from releasing positive results.